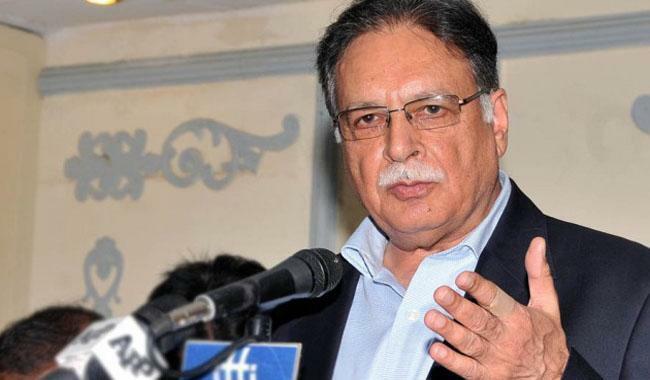 ISLAMABAD: Information Minister Pervaiz Rashid on Monday took exception to Pakistan Tehreek-e-Insaf chairman Imran Khan for accusing the Sharif family of stashing money abroad and indulging in corrupt practices. Speaking to media, he said even Panama Papers, a reference to a massive leak of tax documents by an anonymous source, prove Khan’s allegation wrong as Nawaz Sharif has no assets in foreign countries. “Both the sons of Nawaz Shairf file their tax returns in accordance with law, and do business abroad like children of common Pakistanis do” he said. “The documents do not mention that Nawaz Shairf and Shahbaz Sharif have properties out of the country,” the minister said. “Imran Khan’s allegations are wrong; he should at least express regret,” he said adding that those who live in glass houses should avoid throwing stones at others. “We do not want to discuss things relating to Imran Khan. He could knock doors of international courts or approach the National Accountability (NAB) over the Panama leaks,” Pervaiz Rashid said. “What Imran Khan has given the nation except a sit-in, which caused delay to visit of Chinese President and Pakistan China Economic Corridor Project (CPEC),” the information added. The minister claimed former prime minister Benazir Bhutto targeted businesses of Nawaz Sharif only to admit that the latter was not involved in wrongdoings.